Cleaning & disinfection play an essential role in the control of legionella. We offer a highly specialised water system cleaning service conforming to British Standards. 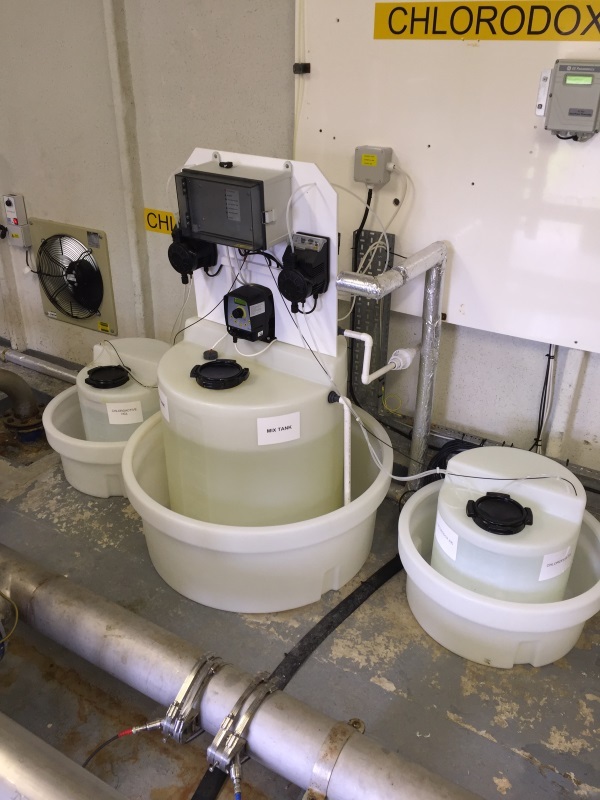 H2o have experience of designing, installing and maintaining chlorine dioxide, chlorine and silver stabilised hydrogen peroxide dosing systems. Biocide treatments can be used to aid legionella control where maintaining a conventional temperature regime is difficult or where the removal of all dead legs and little used outlets is impractical. These systems have been used in offices, leisure centres and hospitals. Biocide treatments require meticulous control and monitoring programmes. It is essential that these water treatment programmes are monitored to demonstrate that the programmes are working within the established guidelines and are effective in controlling legionella bacteria in water systems. H2o can install the initial system and also undertake the monitoring and test procedures which will vary according to the treatment chemical used. Each biocide option has their advantages and disadvantages therefore H2o LCS can assist in ensuring you have the correct system installed for your needs. H2o LCS also offers further supplementary measures such as point of use filters and UV treatment.